We have designed a spacious wardrobe to fit snugly under the highsleeper, it has a deep shelf and full hanging rail and should leave plenty of space for gathering the latest fashion. On this Nero version we have used a dazzling black finish on the legs and ladder creating a sharp trendy look for trendy children and teenagers. Includes Nero Highsleeper with integrated desk and shelving and Low Wardrobe. White lacquered finish with Nero ladder and legs. 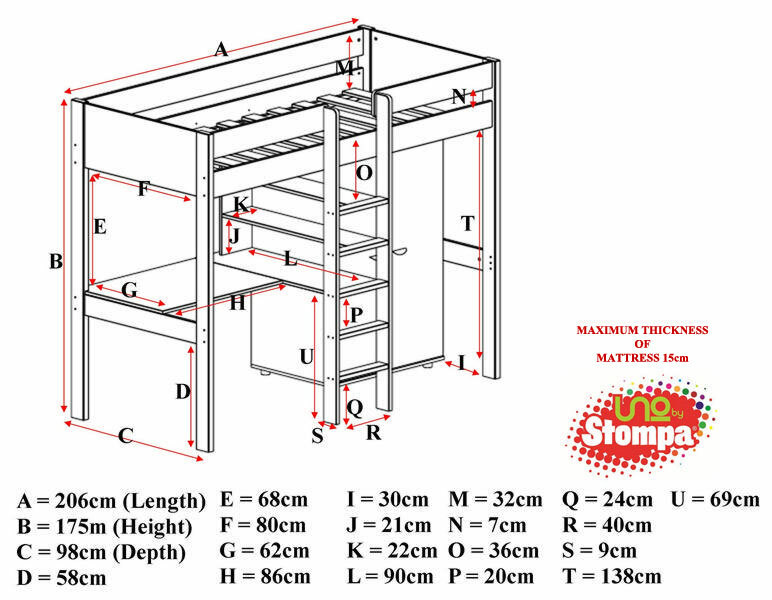 To view the technical line drawing specifications for the Uno 7 High Sleeper Nero with Desk + Wardrobe 1 White please click on the following link.